OTTAWA—Shen Yun Performing Arts gave a second spectacular performance in the nation’s capital on Christmas Eve at the National Arts Centre. In attendance with his family was Vinodh Lakshman, Director of Business Development for Freedom55 Financial. Mr. Lakshman is a big supporter and regular visitor at the NAC. This was his third time seeing Shen Yun. The concept of tranquility, peace, and love resonated with him. “It’s something very important, especially in today’s world,” he said. New York-based Shen Yun’s mission is to revive the spirit of traditional Chinese culture through classical Chinese dance. The performance features several pieces that take the audience through the 5,000-year history of China, with visuals of the different ethnic regions and an orchestra featuring traditional Western and Chinese instruments. Shen Yun brings back the lost ancient culture of China, which Mr. Lakshman said he appreciated. He also spoke about the benefits the Shen Yun performance could have for a multicultural society like Canada’s. “It’s very important especially if you look at the Canadian and North American environment. Culture seems to be missing in action for various reasons,” he said. “Bringing the old culture back and translating that to the modern world, and showing a link between the old culture and new culture—it would be a great advantage for all the people to understand multiculturalism and will make each culture understand the other culture. 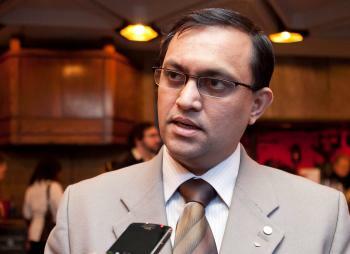 It would be a great benefit to the society of Canada,” Mr. Lakshman said. 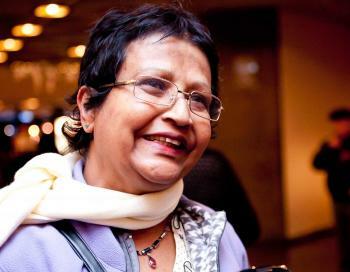 Nora D’Souza, a retired child psychologist, was also in attendance on Friday. The performance also depicted the plight of Falun Dafa practitioners in China, who are unable to enjoy the freedom of expression found in Western countries as the practice of Falun Dafa was banned by the Chinese regime in 1999. Activists are appealing that the topic of human rights observance will take a “vital part” in the forthcoming EU-China summit in Prague. A key index of consumption prices paid by U.S. consumers declined at the biggest rate since August 1955.